Every three years the IAU Working Group on Cartographic Coordinates and Rotational Elements revises tables giving the directions of the poles of rotation and the prime meridians of the planets, satellites, minor planets, and comets. 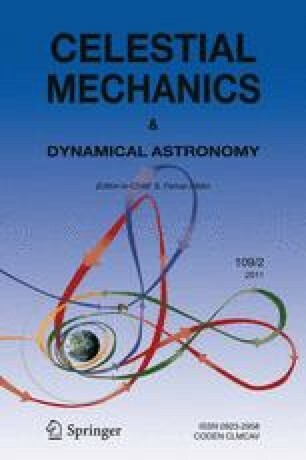 This report takes into account the IAU Working Group for Planetary System Nomenclature (WGPSN) and the IAU Committee on Small Body Nomenclature (CSBN) definition of dwarf planets, introduces improved values for the pole and rotation rate of Mercury, returns the rotation rate of Jupiter to a previous value, introduces improved values for the rotation of five satellites of Saturn, and adds the equatorial radius of the Sun for comparison. It also adds or updates size and shape information for the Earth, Mars’ satellites Deimos and Phobos, the four Galilean satellites of Jupiter, and 22 satellites of Saturn. Pole, rotation, and size information has been added for the asteroids (21) Lutetia, (511) Davida, and (2867) Šteins. Pole and rotation information has been added for (2) Pallas and (21) Lutetia. Pole and rotation and mean radius information has been added for (1) Ceres. Pole information has been updated for (4) Vesta. The high precision realization for the pole and rotation rate of the Moon is updated. Alternative orientation models for Mars, Jupiter, and Saturn are noted. The Working Group also reaffirms that once an observable feature at a defined longitude is chosen, a longitude definition origin should not change except under unusual circumstances. It is also noted that alternative coordinate systems may exist for various (e.g. dynamical) purposes, but specific cartographic coordinate system information continues to be recommended for each body. The Working Group elaborates on its purpose, and also announces its plans to occasionally provide limited updates to its recommendations via its website, in order to address community needs for some updates more often than every 3 years. Brief recommendations are also made to the general planetary community regarding the need for controlled products, and improved or consensus rotation models for Mars, Jupiter, and Saturn.